Grapes & Sunflower Wreath Brazilian pattern, fabric, beads, instructions. 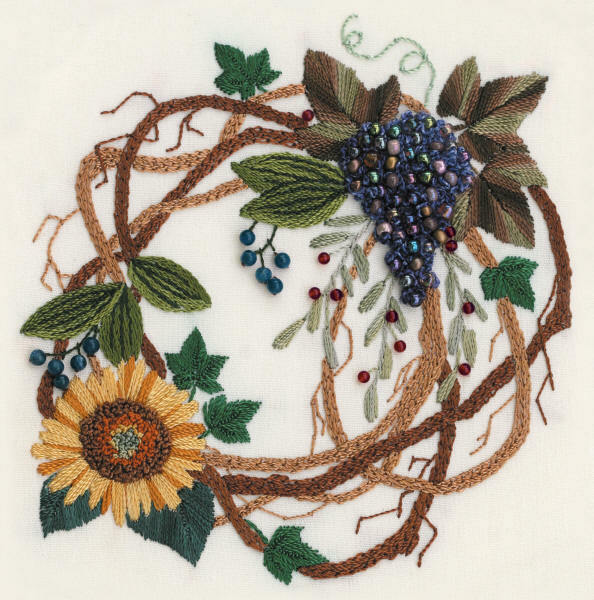 This beautiful Brazilian embroidery design is complete with all the "how to" stitch instructions as well as stitch placement instructions, a traceable pattern (so you can use it more than once), cream colored fabric, beads, beading thread, needle for attaching berry beads, felt and brown thread. You will need to add EdMar rayon thread in sizes Boucle, Iris and Lola plus milliner's needles. The designer also recommends using Thread Heaven thread conditioner. 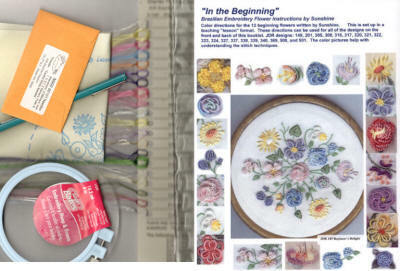 This pattern teaches basic beading stitch, cast-on, stacked chain, colonial knot, couching, stacked stem, leaf, satin, stem and straight stitch. 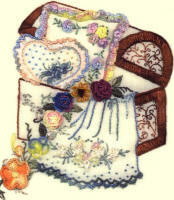 Design is 5.5" x 6" and is an advanced beginner to intermediate skill level design. EK5701 $15.00 Cream Fabric How many? Full Skein Thread packet (15 skeins) $23.00 How many? 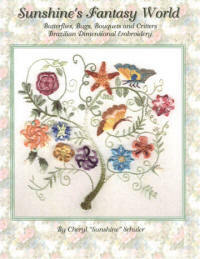 JDR Brazilian Elegance Specializing in Brazilian Embroidery but providing stitchers with much more!